November 12 is John William Strutt, 3rd Baron Rayleigh’s birthday. 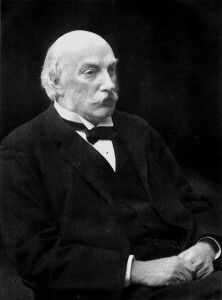 Lord Rayleigh was an English physicist who won the 1904 Nobel Prize in Physics for the discovery of the element argon. His colleague, William Ramsay won the 1904 Nobel Prize in Chemistry for his contribution to this discovery. The discovery of argon seems trivial compared to the other physical phenomena he is associated with. His work in physics covered a large variety of topics such as optics, sound, hydrodynamics, wave theory, electrodynamics and light scattering. His work with optics and sound stand out the most. Rayleigh was the first to explain why the sky is blue. He showed the gas molecules in the atmosphere scatter sunlight. The scattering is strongly inversely wavelength dependent. The shorter the wavelength, the more scattering occurs. Violet colors of the Sun’s spectrum are mostly absorbed by gases in the air, leaving blue as the dominant short wavelength color. The other colors are present, but there is more blue scattering than any other during the day. The scattering is different depending on the angle between the light source and the observer. During the day, when the Sun is overhead, we see blue skies. As the sun rises or sets, the light source is almost flat with respect to the observer and the blue colors are scattered out of the line of sight of the observer leaving the yellow, orange and red colors seen during sunrises and sunsets. This scattering is known as Rayleigh scattering in his honor. Rayleigh is associated with another light scattering phenomenon known as the Rayleigh criterion. This has to do with the ability of a lens or circular aperture to resolve different light sources. Think of a car’s brake lights. When they are close to you, you see two distinct lights. As the car moves away from you, they appear to get closer and closer until they seem to merge together. The point where the two lights meet and appear to be one light is the Rayleigh criterion. Another phenomenon Rayleigh is associated with is known as Rayleigh waves. Rayleigh waves are acoustical waves that travel along the surface of solid materials. They can be seen when striking some surfaces as the energy of the impact moves from the source. This is also the cause of much of the damage due to earthquakes. The wave produced from the action at the quake’s epicenter rapidly travels away and oscillates the surface. Rayleigh’s largest published work “Theory of Sound” is still recognized by today’s researchers. He was widely published elsewhere. He had nearly 450 published papers and contributed to the Encyclopedia Britannica. He was made a Fellow of the Royal Society in 1873 and served President of the Society from 1905 to 1908. He also served as Chancellor of Cambridge University. 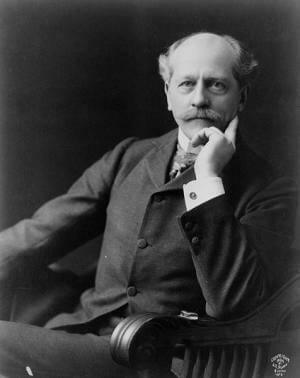 1916 – Percival Lawrence Lowell died. Lowell was an American astronomer who founded Lowell Observatory in Arizona. He predicted the existence of Pluto. He published three books on Mars that attempted to prove the thin lines on Mars’ surface were water canals and supported life. He also mapped a system of spokes and dark central hub on the surface of Venus. Today we know the surface of Venus cannot be seen from Earth. Lowell also theorized the existence of a Planet X outside the orbit of Neptune. He believed a large mass was affecting the orbits of Uranus and Neptune and began a systematic search. He would never discover his planet, but Clyde Tombaugh would discover Pluto at Lowell Observatory in 1930. 1891 – Seth Barnes Nicholson was born. Nicholson was an American astronomer who discovered four moons of Jupiter. He joined up with Edison Pettit in the 1920s to make the first systematic observations of planetary bodies and the sun using an infrared detector. 1842 – John William Strutt, 3rd Baron Rayleigh was born. 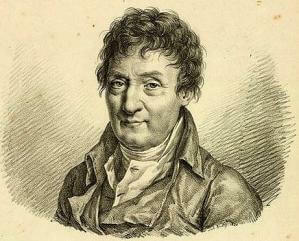 1746 – Jacques-Alexandre-César Charles was born.